– Laura Rea Dickey, CEO at Dickey’s Barbecue Restaurants, Inc.
Dickey’s Barbecue Pit took an analytics-first approach and worked with iOLAP to build a new technology and data footprint on AWS. Running on AWS enables Dickey’s to scale at a fraction of its on-premises cost. To survive and thrive in the competitive restaurant industry, the Dickey’s leadership team knew they needed both better data and better ways to use data to understand customer wants and needs. The company didn’t feel it was managing its data optimally through its on-premises environment. It also felt it wouldn’t be able to scale to respond to growth opportunities. Dickey’s saw a massive opportunity in starting over and building a technology and data roadmap that began with building a cloud-based business intelligence (BI) platform. For Dickey’s, analytics-first became the company mantra. Dickey’s chose to work closely with iOLAP from the beginning to build and execute a cloud-based data and architecture strategy. For its new environment, the company chose to build on Amazon Web Services (AWS). The breadth of AWS services available, security posture, scalability, and ability to align spend to anticipated consumption made AWS the obvious choice for Dickey’s. The company began by building a data warehouse on Amazon Redshift. Dickey’s uploads data regularly to Amazon Simple Storage Service (Amazon S3), processes the data through Amazon Redshift, and uses AWS Lambda to provide real-time analytics for its sales data, labor data, and a growing number of sources. On AWS, new data source integrations take days instead of weeks to implement. Today, Dickey’s is using Yellowfin’s BI platform running on Amazon Elastic Compute Cloud (Amazon EC2). Using AWS, Dickey’s can grow and scale on-demand at a fraction of the cost of its on-premises environment. The company’s three-year total cost of ownership (TCO) is 54 percent cheaper than a comparable on-premises solution. Working with iOLAP and using AWS, Dickey’s has built a vendor-agnostic framework allowing for customization and the flexibility to build its own proprietary tooling. The company has now digitized everything it does through its CRM running on AWS, which the company believes is contributing to the growth of its catering business line. With the successful launch of the platform on AWS, Dickey’s and iOLAP have begun to tackle new innovations and projects. A key focus for the team is the implementation of a voice-enabled Amazon Alexa system which will fundamentally change the way customers and internal teams interact with the restaurant. Dickey’s Barbecue Pit is a family-owned American barbecue restaurant chain based in Dallas, Texas. The restaurant is the largest barbecue franchise in the world. Faced with new growth opportunities and challenges, Dickey’s did not feel it was approaching its technology stack or using data in a way that was setting up the company to succeed. The company worked with iOLAP to build a new footprint on AWS, beginning with a new data warehouse and BI platform. Since moving to AWS, Dickey’s can grow and scale at a fraction of the cost of its on-premises environment. The company’s three-year total cost of ownership (TCO) is 54 percent cheaper than a comparable on-premises solution. iOLAP is a big-data and advanced-analytics consultancy operating at the forefront of technology for more than two decades. 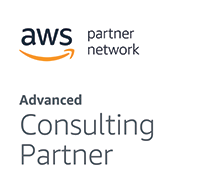 The company is an APN Advanced Consulting Partner and AWS Service Delivery Program Partner. With a client-centric and business-outcome perspective, the company is completely focused on data technologies to create solutions that bring efficiencies, security, and scale to its clients.